A new Song Mode lets you easily organize a group of Programs for each specific song in the list. Each song can consist of up to 5 different Programs, freely assignable from your existing Programs. You can create unique Song Lists for different bands or situations and the names and order can be easily customized on the fly without connecting it to a computer. The super clear new OLED display offers excellent overview when selecting sounds and editing programs. The Nord Stage 3 also features 3 Split Zones and a new Split Point Crossfade functionality. Choose among 3 different crossfade widths (Small, Large or Off) indicated by different LED colors. A new Split Point Editor Mode lets you easily organize and set up Split Points using the OLED display giving you a great overview of the assigned sound sources for each Split zone. The Nord Stage 3 features a wide selection of Grands, Uprights, Electric Pianos, Digital Pianos, Clavinet and Harpsichord from our exclusive Nord Piano Library - all handpicked for their unique characters! The Nord Stage 3 Piano section also features a brand new “Layer” category with rich dynamic layered patches. Nord’s state-of-the-art sampling techniques capture the extraordinary nuances and real character of the source instruments. Our unique ‘Advanced String Resonance’ and Dynamic Pedal Noise features deliver breathtaking realism and an unsurpassed level of expressiveness. The Nord Stage 3 Organ section features our award winning Nord C2D organ including the extremely authentic B3 Tonewheel simulation with four different tone wheel settings, ranging from factory new clean to leaky old vintage. The Nord Stage 3 Compact now features Physical Drawbars offering ultimate hands-on experience for the dedicated organ players. This model also supports the Nord Half-moon Switch. The Nord Stage 3 88 and HP76 features Digital LED Drawbars, offering excellent overview over current settings. The Lead A1 Synth Engine is renowned for its analog-modelling warmth, and utilises brilliant Smart Oscillator Configurations to deliver stunning results with little programming. There are both Single oscillator setups including Pitch and Shape modes, and Dual oscillator setups including Detune, Sync, Waveform, Bell and Noise Mix modes, FM and Ring Mod. 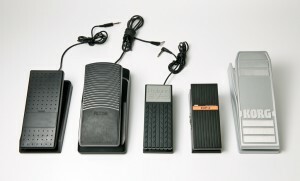 The Synth section also provides 3 Unison modes, without reducing voice polyphony. The Nord Stage 3's new Oscillator section features 5 oscillator categories: Classic, Wave, Formant, Sample and brand new Super Wave (S-wave). The main oscillator is frequency modulated by a second sine wave oscillator with several pitch offsets for the second oscillator (-12 to 48 semitones). The main oscillator is modulated by a combination of two additional oscillators with several pitch offsets to choose from (-12 to 48 semitones). In this mode the main oscillator waveform is multiplied with a sine wave of selectable relative pitch, for classic Ring Modulation sounds. *=Not available when using Samples and Superwaves. The Nord Stage 3 Synth section has powerful sample playback capabilities and comes with an outstanding selection of samples from our new Nord Sample Library 3.0. All samples can be tweaked creatively inside the Lead A1 Synth Engine and it is even possible to create and transfer your own samples using the Nord Sample Editor (coming soon). The Synth section features 6 Filter types: Classic Transistor Ladder Filter (LP M), Low Pass 12 and 24, Band Pass, High Pass and a powerful new combined Low Pass and Band Pass (LP BP) Filter. The Filter section also includes a dedicated Filter Drive with 3 amount settings, as well as selectable keyboard tracking amount (1/3, 2/3 and full). 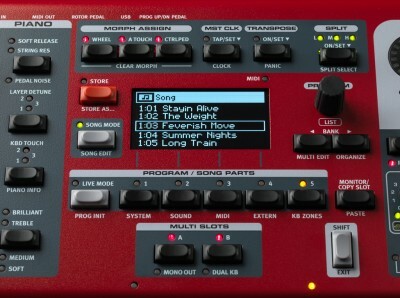 The Nord Stage 3 features six different Reverb types (Hall 1 2, Stage 1 2, and Room 1 2) for adding some ambience to your sounds, and the amount is now morphable. The Reverb effect is now separate per Slot and also features a new Bright mode.